PRP’s... I hope you sitting down... and up for this one! Whilst sitting down with our website guru recently- I learnt about something called Augmented Reality. 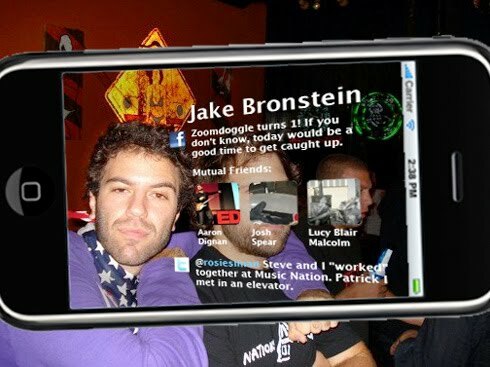 In considering how social media has evolved, transforming peoples lives within such a short period of time... I’m afraid to think of what this Augmented Reality’s gonna do to us. From my limited understanding, it will (and already is) taking marketing and advertising by storm... maybe da pro... and it could also mean the end of privacy as we know it... da con? Using software on eye-classes or on our mobile phones for example, AR allows us to interact with our real world like never before. Admittedly, me still a little fuzzy as to the mechanics of it all- ... but shoo! ... talk about blurring the lines. Already used by Saatchi & Saatchi in a campaign for Wordsworth Books in SA... seems AR is gonna take brand communication to whoooole nother level! No doubt – it’s a matter of time before AR really rocks SA. What’s scary is when AR meets social media... imagine walking down the street and having graphics and audio coincide with what you see... info and ads popping up as you go along. 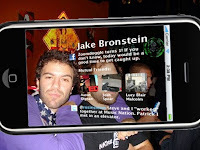 Or what about an instant view of online profiles of those around you... people you might not even know?! ...”Ooooh... dat dude was at Mavericks last night and OMW!... he knows Cindy... small world ne!”. … so what? Bye-bye privacy? Google it and check it out on YouTube people... AR is something that’s got me scared and excited at the same time. And to my fellow PRP’s, here’s to making magic with our future campaigns. If anything, AR is sure to change how we view our world.